In new Hold'em with Holloway, @ChadAHolloway breaks down three hands from @HPTPoker @StLouisPokerHC. Hand #2 – Thinking Too Long? This past weekend I attended my first-ever Heartland Poker Tour stop as a live reporter. 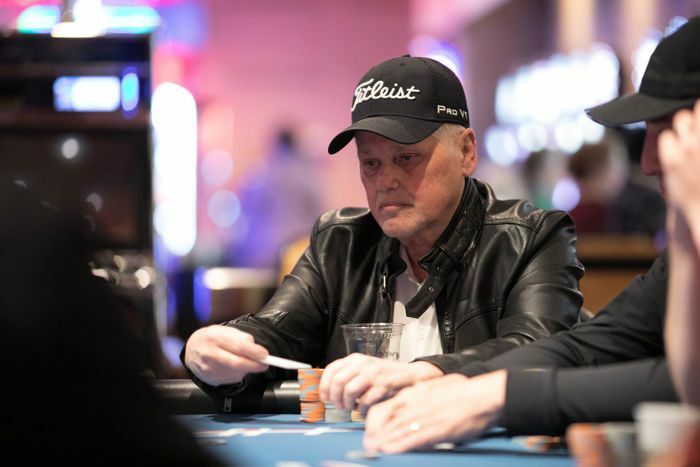 The $1,650 Main Event at Hollywood Casino St. Louis attracted 444 entries and ultimately saw 47-year-old attorney Bill Byrnes come out on top to the tune of $148,587. 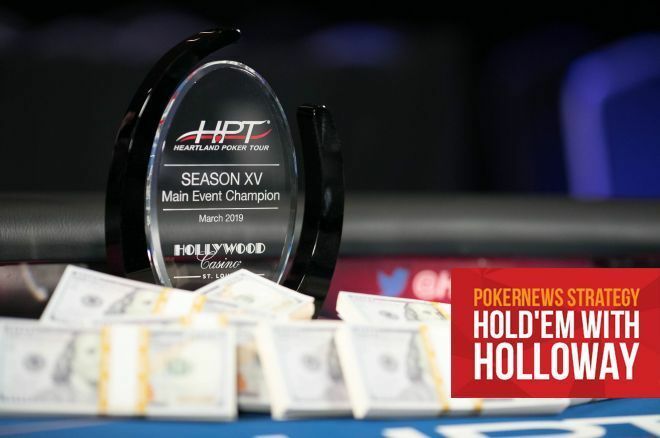 During my time at the event, I took note of three interesting hands I thought I'd discuss in this week's edition of Hold'em with Holloway. 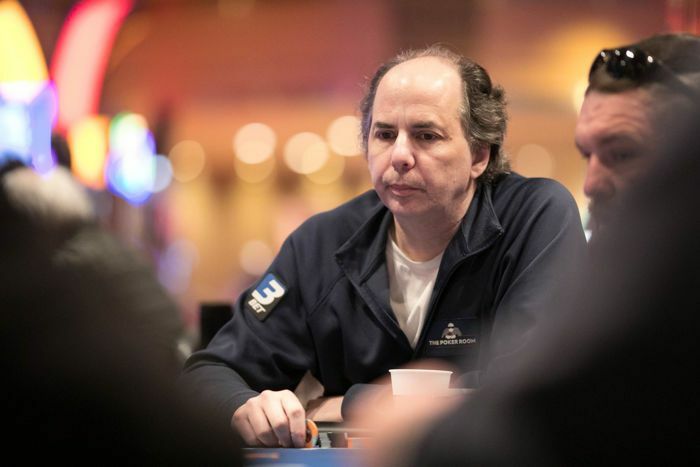 On Day 1b of the tournament, it was early in Level 4 (100/300/300) when Jeff Fielder opened for 800 from the hijack and Craig Casino, the HPT's all-time money leader, called from the cutoff. Andy Rogowski came along from the button, then the player in the small blind three-bet to 2,200. "This hand is indicative of what happens when you don't protect your aces." Fielder called and that priced in both Casino and Rogowski to make it four-way action to the flop. The small blind led out for 5,000 and both Fielder and Casino folded. Rogowski then raised to 11,000 and the small blind three-bet all in for approximately 30,000. Rogowski, who didn't have too much more than that, quickly called. Rogowski had flopped bottom set to pull ahead of the aces and he locked it up on the turn when the gave him quads. The meaningless was run out on the river and Rogowski was pushed the pot. The Lesson: This hand is indicative of what happens when you don't protect your aces. Granted, the small blind did put in a three-bet, but it wasn't nearly enough. By making it just 1,400 more over the initial 800 raise he was sure to get called. If called by the original raiser, in this case, Fielder, it would easily give the other two players the right price, which is exactly how it played out. Being out of position, the small blind needed to make it a lot more. I'd lean towards at least popping it to 4,000. That's a price more likely to either swipe the pot or get a couple of players to fold. It's much better to go heads-up to a flop holding the granddaddy of all hands. As it played out, the small blind probably should've known something was up when Rogowski raised. Being four-way action, that sort of flop was likely to hit one of the limpers. A better option may have been just to call the raise and check the turn to see what Rogowski did then. And if he were to bet big, it would be time to divorce those aces and fold. On Day 2 in Level 16 (2,000/5,000/5,000), action folded to Allen "Chainsaw" Kessler on the button and he raised to 13,000. Jerod Smith was in the big blind and three-bet jammed for 54,000 total. Kessler thought for a solid 90 seconds, maybe more, before making the call. It was a flip and Smith was just looking to hold to stay alive. He did so through both the flop and turn, but then the spiked on the river to pair Kessler. "Take longer next time, Allen," Smith said before heading for the exit. The table then debated how long it took Kessler to act, with the man himself believing it was an appropriate amount of time given a call essentially cost him half his remaining stack. The Lesson: Having watched the hand, I understand Kessler's position and that a call was for a large portion of his stack, but he might've thought about what he'd do before putting in the initial raise. He was on the button after all with two short stacks in the blinds. There was a good chance a three-bet shove was coming, so to me, it's one of those spots where if you raise you should be doing so with a predetermined plan of either folding or calling a shove. I'm not a fan of raising without a plan. That said, I think Kessler was always going to call in this spot, but just needed a little extra time to do so. In the end, I don't think it was that big a deal or too inappropriate, but I could relate to Smith's frustrations. Late on Day 2 in Level 21 (8,000/16,000/16,000) the biggest pot of the tournament up to that point went down and it contained about 25 percent of the chips in play. It began with 18 players remaining when Tim Burden raised to 40,000 and his neighbor to the left, Danny Hoeft, three-bet to 200,000. Action folded back to Burden and he called to see a flop. Burden check-called a bet of 200,000, then the dealer burned and turned the . Burden slammed down a bet of 500,000 and Hoeft called, then the river completed the board. Burden moved all in for 1.099 million and Hoeft, who had 1.04 million, opted to call off with . It was no good, though, as Burden, the 2018 MSPT Indiana State Poker champion, had flopped a set with his . Hoeft, who had been the chip leader with 18 players left, was barely covered at that point and took his leave in 18th place for $6,266. Burden went on to make the final table as the chip leader but ultimately fell in seventh place for $20,673. The Lesson: Like the aces in the first hand above, it's important not to get married to overpairs. Not only did Hoeft get attached to his ladies, he did so against the one player in the tournament who had him covered. He had multiple opportunities to ditch them — after the big lead out on the turn, and especially facing the river shove — and still have a big stack with which to work. But he couldn't find the fold button and dusted off a final table stack, as well as a lot of ICM value in one big game of chicken.